Dogs are too good for this world, too pure. These lovable pups have always been known as man’s best friend and for good reason. 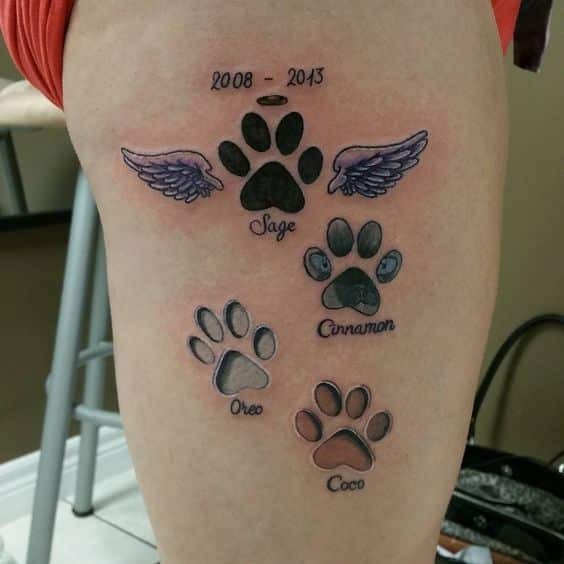 In order to memorialize their precious pooches, some people take pictures or videos. 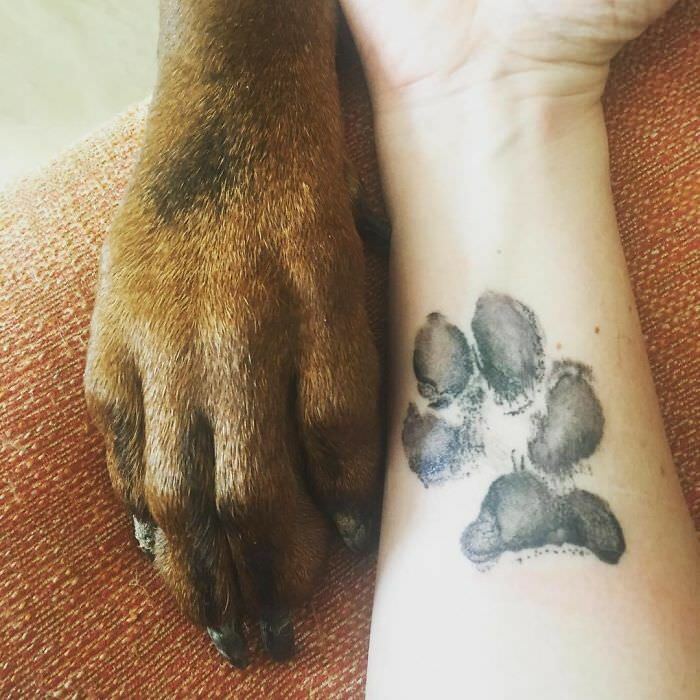 For some of those who want to have an eternal reminder of their pet, they get pawprint tattoos to signify the special bond between dog and owner. 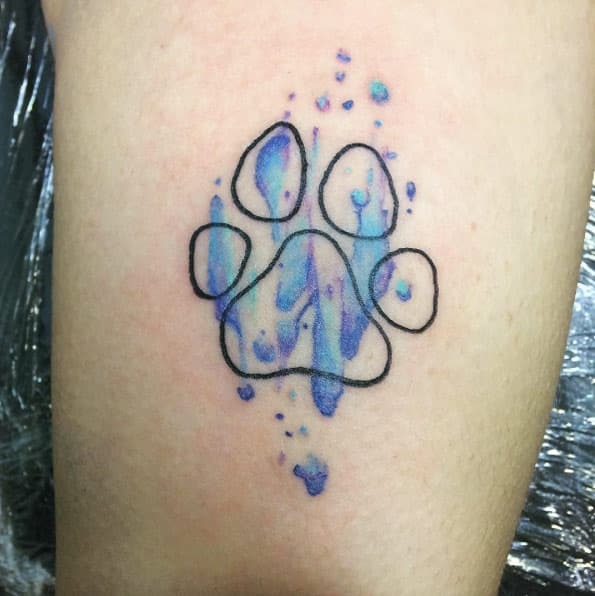 This is how someone would get a doggy paw print tattoo, and a bunch of adorable examples that you don’t want to miss. 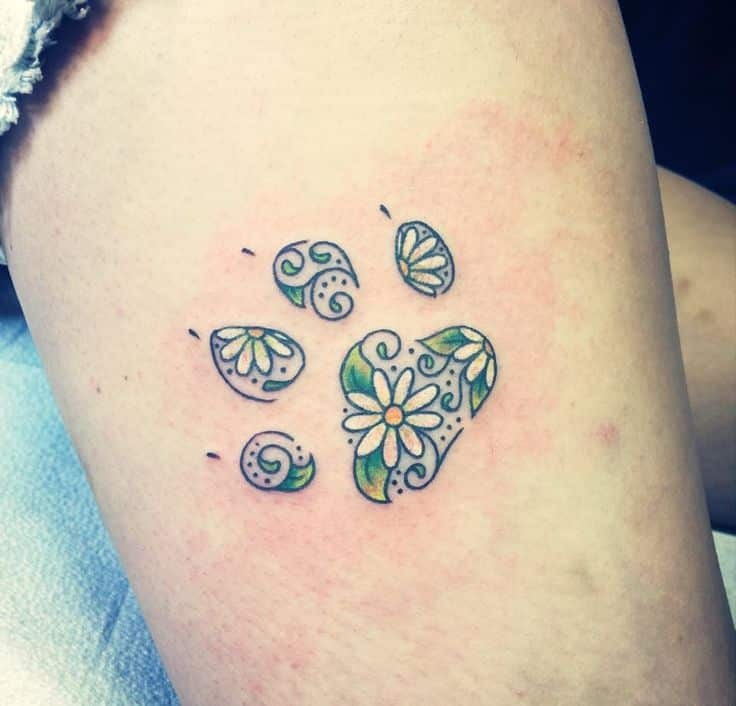 The first thing you need to do before getting a paw print tattoo is a cute puppy and a place to put it. You want to pick a place where you can see it, so you will often be reminded of your favorite pet. 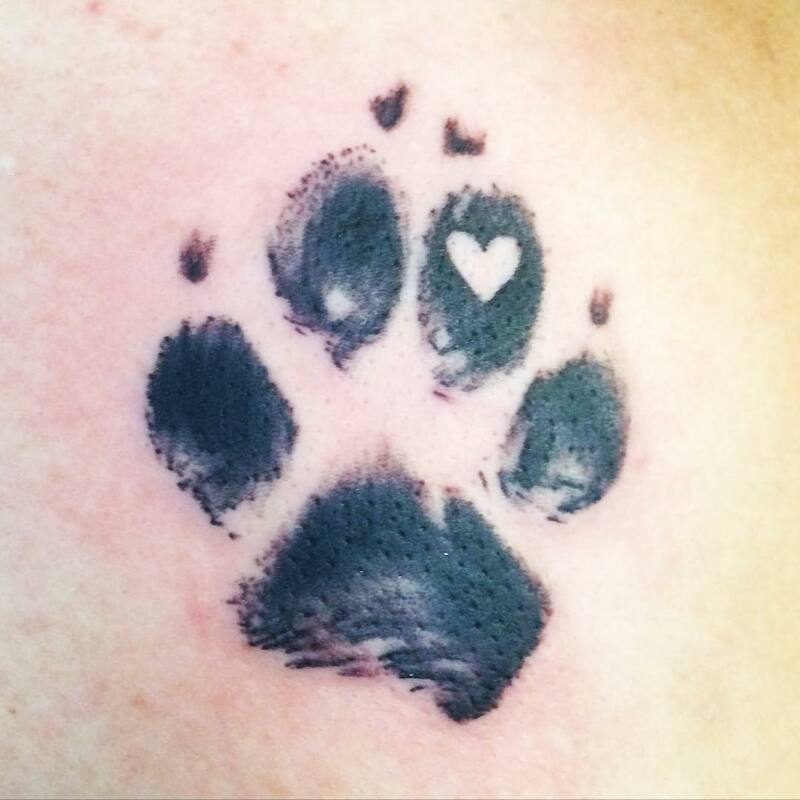 Let’s take a look at some of the most ‘pawesome’ tattoos! #14 and #9 are our favorites! 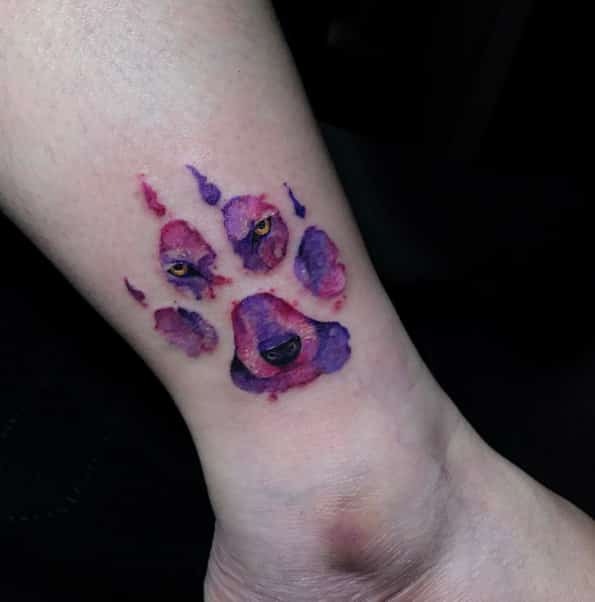 Our first example is a creative one – they dipped their dog’s paw in several different colors of paint, and transferred that to their leg to make an eye-catching piece of art. But is it as creative as our next entry? Here we have someone with 2 dogs to daycare back at home. 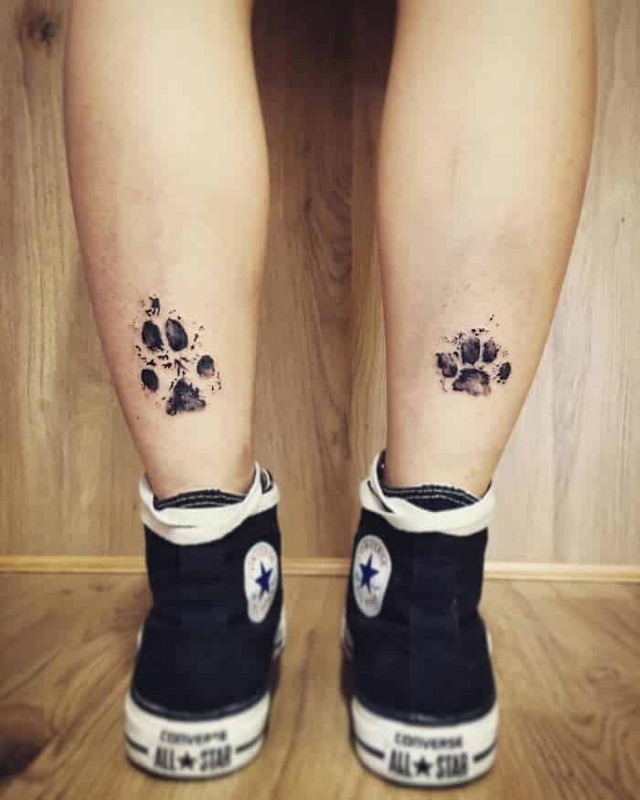 Each pup gets a separate leg to leave their mark on – showing that the owner loves them both equally. But even these 2 memorials aren’t as cute as what’s coming up next. Doesn’t she look proud of her work? She knows how much she matters to her master, and the proof is right there on her ankle. 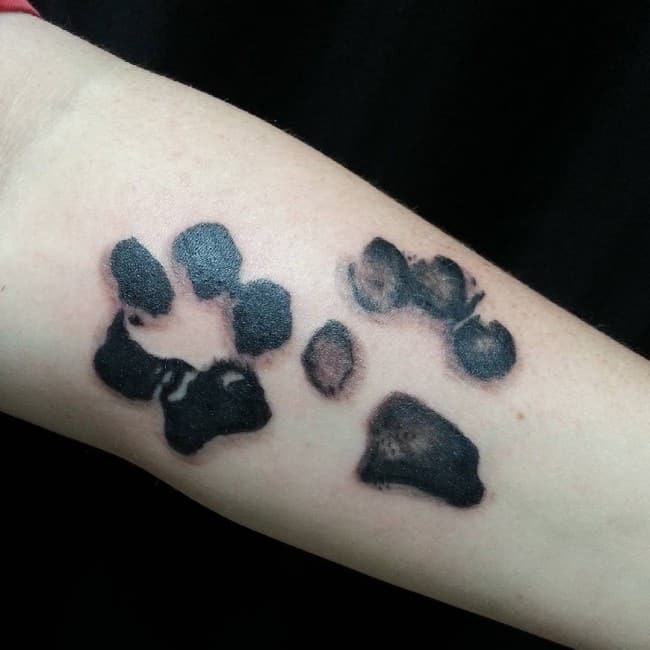 The tattoo is a little inky, clearly, a real paw print taken and not just a symbolic gesture. 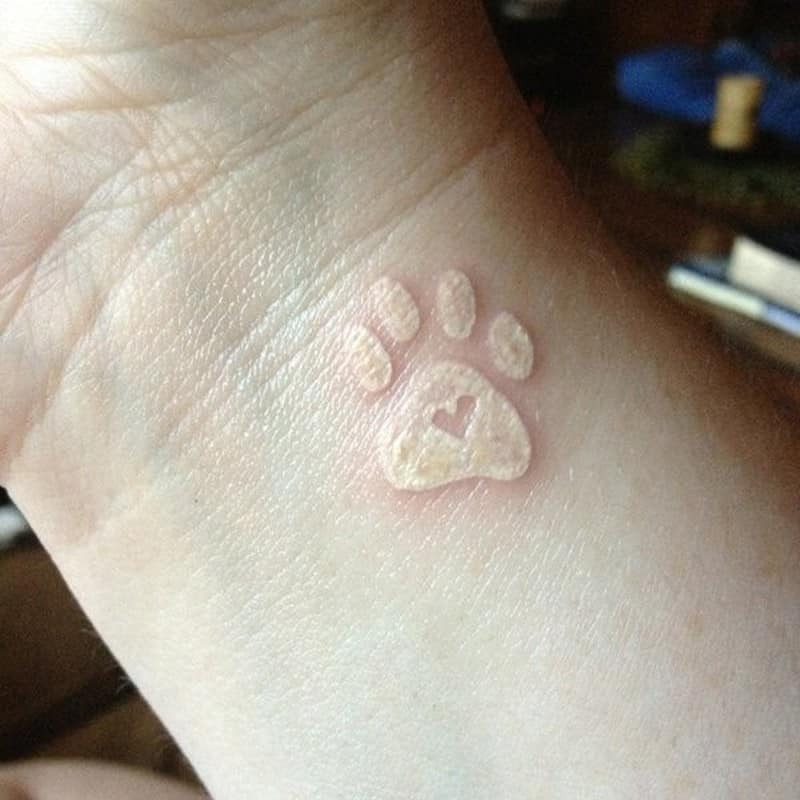 Although this tattoo is adorable, the next one is even better! 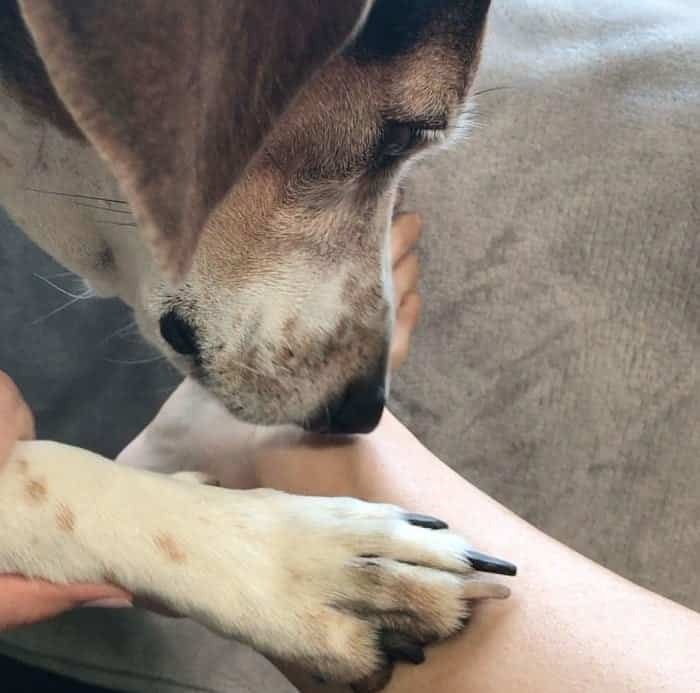 Now here’s a pretty paw painting! 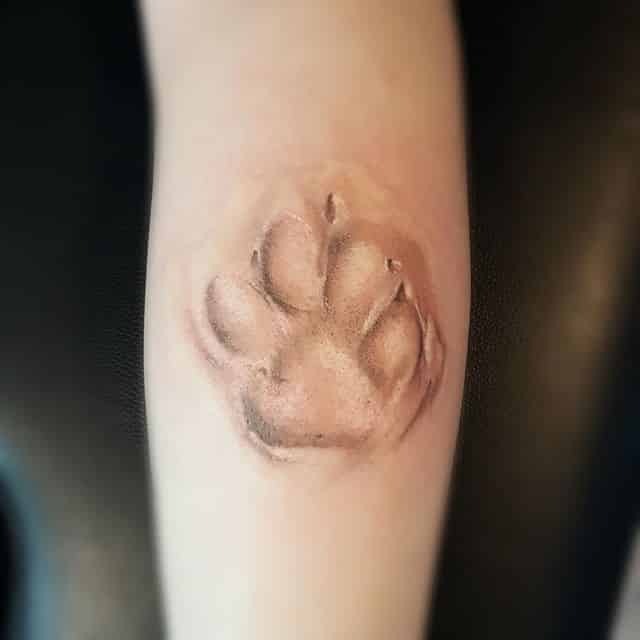 This one went for a very realistic approach – a good choice considering the iconic and rememberable black spots on the paw pads. 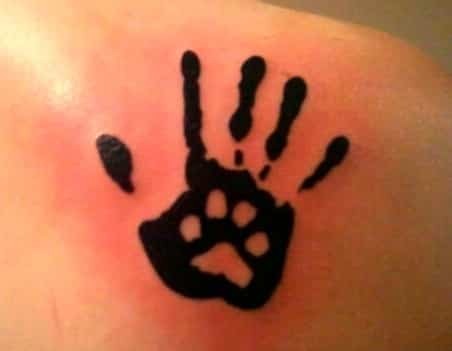 When you see this tattoo, you know exactly which dog it represents. It might even be as “impressive” as the next one. 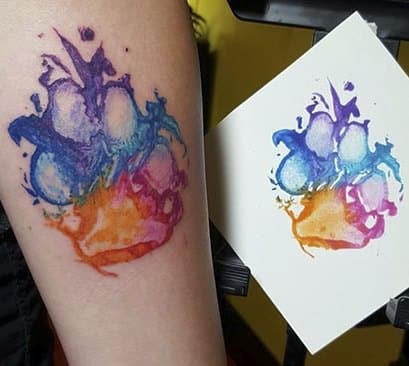 Just look at how creative of a tattoo this one is, the face of the dog is masterfully hidden in its own print, and all of it is held together by bright colors that really make it pop. But even this isn’t as abstract as the next tattoo. 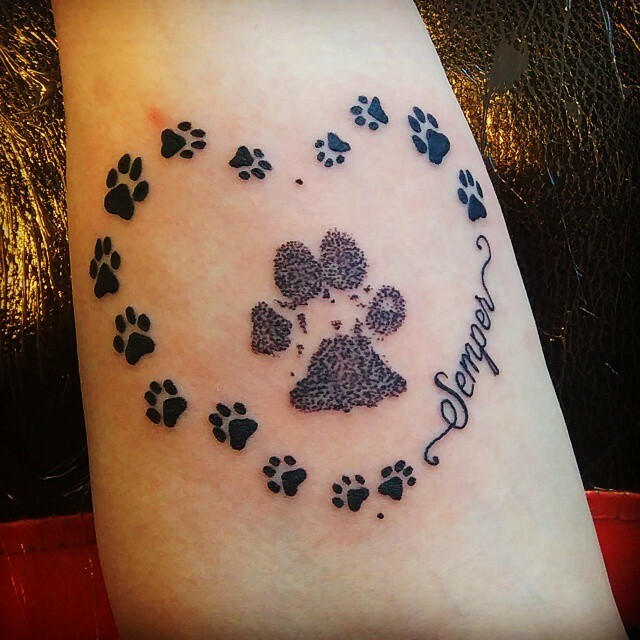 This little memorial is designed lovingly – a clearly accurate paw print of a passed pooch, surrounded by a heart made of little prints and the Latin word “Semper”, meaning “always.” The next memorial it might be even sadder. This one isn’t too dissimilar to previous entries on the list, save for the cute little heart in the top right toe bean. 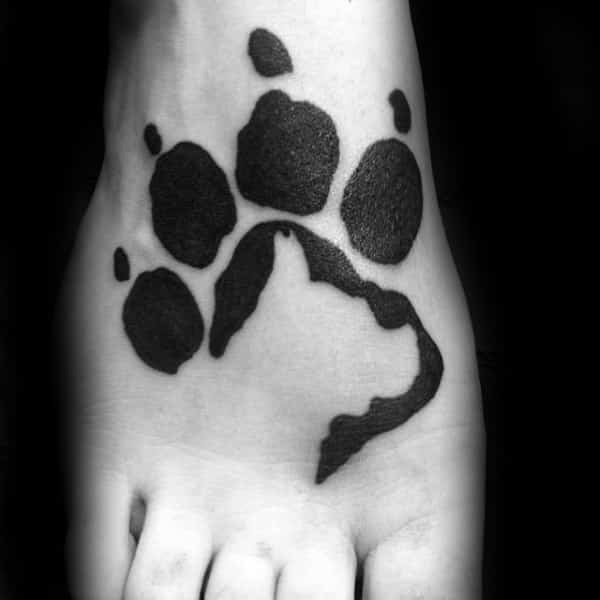 This shows how close the two are, or maybe this pup actually had a heart shaped mark on his toe…? Probably not. The next one shows closeness in a very different way. 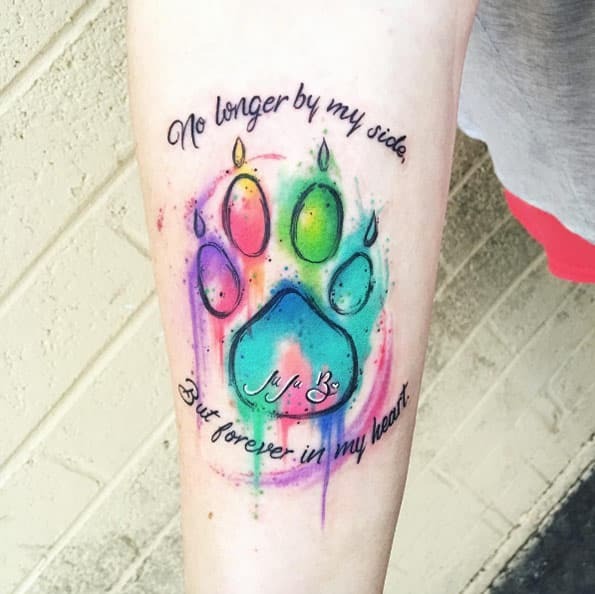 This one is a fantastic blend of colors, with a beautiful quote surrounding the print, showing that the passed puppy, Ju Ju B, will forever be in his owner’s heart. Even this one’s color isn’t as artful as the next entry. 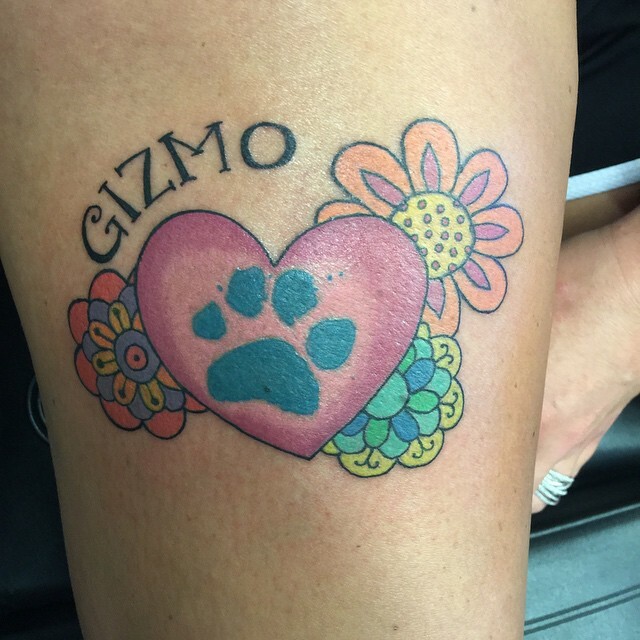 Here we see a colorful print, owned by “Gizmo,” inside a heart and surrounded by a multitude of different flowers. It has a youthful spirit, just like the playful dog it represents. The next one incorporates flowers in a different way. 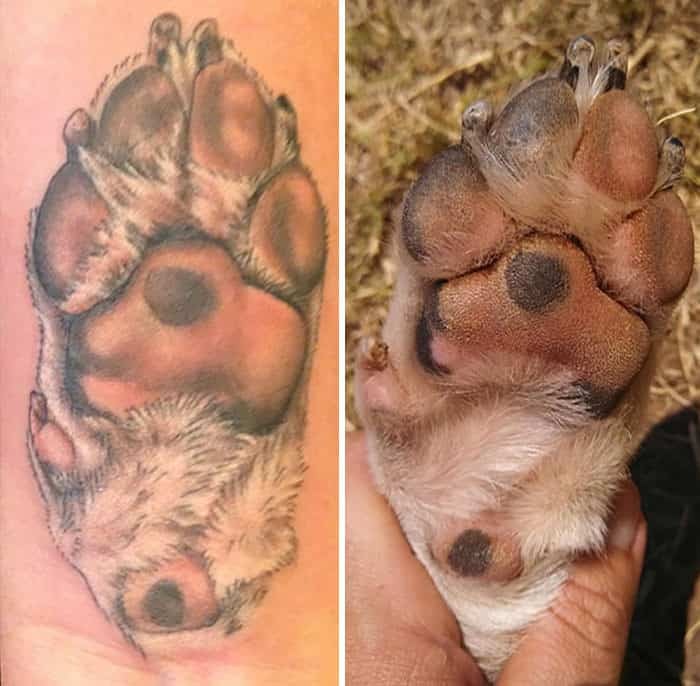 Here we see a dog’s paw print, and he’s identified in another way as well – his side profile is clearly outlined in the center of his paw pad. 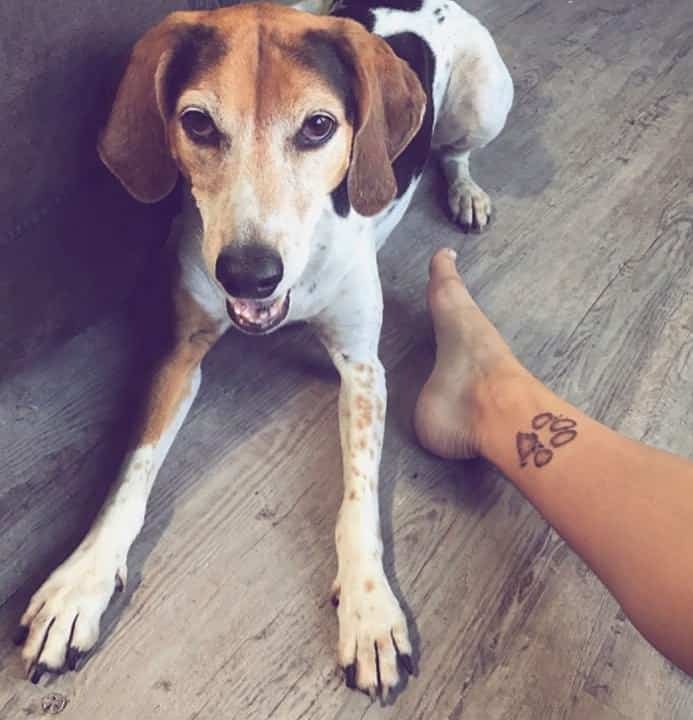 If you know this dog, you’ll recognize him in this tattoo every time you see it. 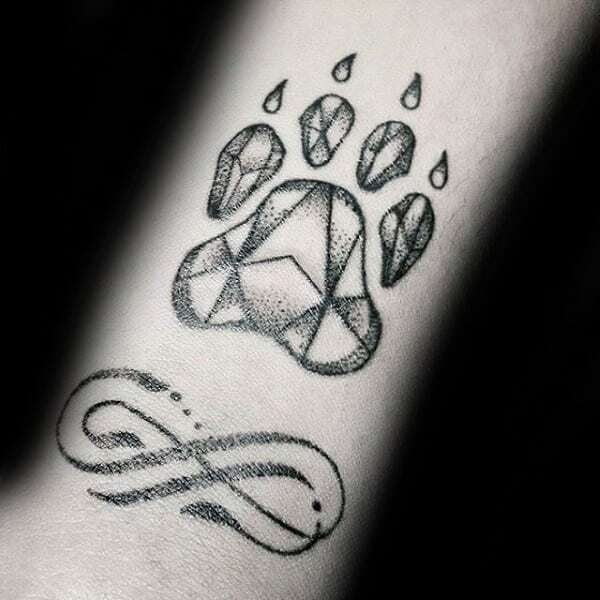 This one is really cool because it artistically fills the paw print with a reflective crystalline pattern, and places an artsy infinity symbol beneath the print, representing the eternal bond between man and dog.